Since part of our reading theme explores philosophical musings and the transience of life and its meaning, I thought it would be good to share these picturebooks that dare to stretch the seemingly-insurmountable boundaries arbitrarily imposed by people who seem to think that picturebooks are only for innocent, naive, wide-eyed babies. In these books, the big things in life are drawn out in exquisite detail. A pensive dog and a rat who has a penchant for stating the obvious chanced upon a flat rabbit lying on the street. Clearly, the rabbit is dead and flattened to a paper-thin, seemingly-cut-out version of itself for all to see. As the dog and the rat stare at the flat rabbit in a startled, albeit-reflective way, they begin to wonder what they should do about the rabbit. It appears as if they have no choice but to move the rabbit – after all they found her and she does not appear to have any family. But where would they move the flat rabbit? The rat thought it was all a bit sad. “Lying there can’t be any fun,” she said, looking at the dog. “That was exactly what I thought when I found her,” said the dog. The dog agreed. But where would they take her? A beautiful story about taking responsibility, letting go, and the shared humanity keenly sensed and expressed across species – because after all is said and done, why wouldn’t anyone (flat rabbit or not) appreciate a fabulous send-off across the skies? How the dog eventually resolved this conundrum, I shall leave for you to discover. All truly important questions, if you ask me. Nikolai, a ruminative young boy, gifted with lovely animal friends, shared that he wants to be a good person, and he acknowledges that it isn’t always easy to be so. And he intuitively sensed that if he knew the answers to the above questions, then he would always know what to do and be his best self at all times. His friends did not dismiss these queries lightly and offered their own sage advice as could be seen above. From Sonya the heron to Gogol the monkey and Pushkin the dog – they all gave responses that revealed the things that are important to them. Despite this, however, their answers do not seem to fit quite right with Nikolai. He felt that something important was missing. And so he hiked up into the mountains to find Leo, the old turtle, to learn from his wisdom. Instead of answering the questions right off the bat (as most young teachers often do, well-meaning and enthusiastic beings that they are), the old turtle patiently kept on digging, listened carefully, and smiled. Nikolai offered to help dig the rows that Leo started. When he was just about to finish, a sudden storm darkened the skies and Nikolai heard a faint cry for help. Kind hearted young boy that he is, he found the creature, a Panda, who needed help and brought him in from the storm – only to discover that the injured Panda has a youngling trapped in the storm outside. It was Nikolai’s actions and his thoughtfulness that eventually led him to answer the questions that he deemed to be important in order for him to become a good person. What the answers are, I shall leave for you to discover. I also enjoyed reading the Author’s Note which explained what inspired Muth to reinvent Tolstoy’s story for a young audience. Even the choice of names was intentional as Pushkin and Gogol are based on famous Russian writers, Sonya apparently was the name of Tolstoy’s wife, Nikolai the name of Tolstoy’s brother and the wise old turtle is none other than Leo Tolstoy himself. I was a Philosophy major during my first year in the university before I shifted to Psychology. This could be the reason why picturebooks like these appeal to me greatly. While seemingly-prescriptive, I still believe that this story holds so much earnestness, quiet grace, and the promise of the infinite that the reader can not help but respond to its felt truth. Find it. Use it with your own students. And I dare you to come up with your own responses to the questions. A thoughtful parent or an insightful teacher could then ask a young reader: “What do you think is the big question here?” For older readers, it may be quite intuitive and fairly obvious, but I could imagine how hilarious some of the responses of the younger kids might be. I like how the question seems peripheral yet central to the entire narrative with various people from all walks of life giving their two cents’ worth in response to “The Big Question” – such as the pilot here who loves kissing clouds. And since we are also celebrating gray and golden folks, and yes grandmammas, I thought of sharing the above page. Grandmothers, after all, rule the universe. What could be a better reason than that indeed? Borrowed the book via interlibrary loan. In this picturebook, Duck meets Death. The book begins with this line: “For a while now, Duck had had a feeling.” Death materialized in a form that is similar to Erlbruch’s earlier picturebook, holding a red tulip. Inevitably, Duck faded away. And Death finally gave his tulip offering. The way that it is shown here in Erlbruch’s artwork is quite moving, I thought. I did a quick search of what tulip symbolizes. Uncle Google merely noted that tulips traditionally symbolize perfect love. While this is a book that may not be for everyone, and perhaps not for very young readers who are sheltered by their parents from the realities of life, I personally felt that this book portrayed in quite a matter-of-fact manner how Death can be ‘creeping along behind’ us as Duck pointed out. And as Death noted, despite his being moved: “… that’s life.” This book is bound to engender quite a great deal of discussion with older readers whose concerns may be about mortality and the meaning of existence. When I finished reading the entire book, the first thought that came to mind was “Where’s the tulip again?” Then I re-read and paid closer attention to the art and was even more moved by the art in the page above. This book made me think. It made me pay attention. I am glad I am sharing it with you all. I also found this amazing theater adapation of Duck, Death, and the Tulip on Youtube. Enjoy. I was so impressed by Sarah Kay and Phil Kaye’s performance at the Singapore American School a few weeks back that I bought and finished reading Sarah Kay’s No Matter the Wreckage. Truly a beautiful book. Inferno by Dan Brown. When I was in Turkey, my host mentioned to me that one of the settings used in this book was Istanbul, so I vowed to read this as soon as I get back here in Singapore. I am only getting around to that now. I’ve read everything except The Big Question. DD&tT is a beautiful book. I’ve read some of the picture books but The Flat Rabbit & Duck and Death, and the Tulip are new to me. I want to find them and read them. The Absolutely True Diary of a Part-time Indian is one of my all time favourite books. Have you read Flight by Alexi? It is a much darker read, but mandatory for anyone who works with aboriginal children. 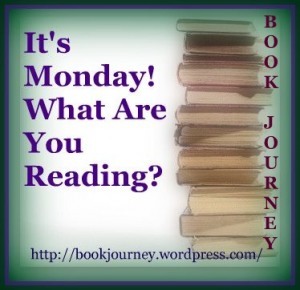 We had a similar reading week: I also read Flat Rabbit and Three Questions. Three Questions was just gorgeous. Flat Rabbit… well, I’m still puzzling over it. I really enjoyed reading your thoughts, which helped me think through my own response (I found the ending very confusing.) I LOVE Sarah Kay and Phil Kaye! I share a lot of spoken word in my classes and often it seems that every one of their performances is just spoken word gold. I just checked out Sarah’s book from the library–hoping to start it this week. If I can get ever get the grading finished! I’ve used The Three Questions in the past, but you’ve reminded me how wonderful it is, so will need to find it to share with the students, Myra. I am not familiar with The Big Question, love what you shared about it. I know about The Flat Rabbit, but still haven’t read it, nor Duck, Death and the Tulip. What an interesting story it sounds like. Thanks for all your thoughts about these books. They are all appealing in their unique ways. I really liked The Flat Rabbit. I know not everyone does but I think it is quite important. So many interesting books- especially The Flat Rabbit and No Matter the Wreckage- shall add to my TBR pile, thank you! – Happy reading to you. I love the picture books that raise big questions and lead to discussion of even bigger ideas about life and death. I can’t even express how jealous I am that you got to see Sarah Kay and Phil Kaye too. I love No Matter the Wreckage and think those two are fantastic at what they do. They make magic with words. Those picture books look like they are great for inspiring contemplation. I use The Three Questions with my students, but will want to visit the others.